Webley & Scott Boxlock Ejector 16 GA 30" Mod/Imp. Cyl. 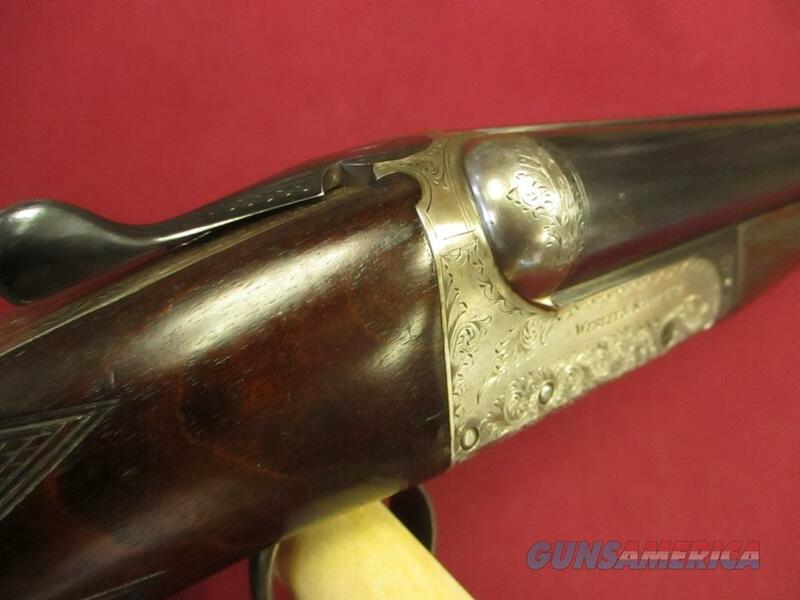 Description: Webley & Scott Boxlock Ejector 16 GA 30" Mod/Imp. Cyl. 14 1/4" Length of pull. 6.2 lbs. S/N: 12513X. 98% blue. Mint bores, excellent wood, crisp checkering. Beautiful engraving. Recently reduced from $3495.